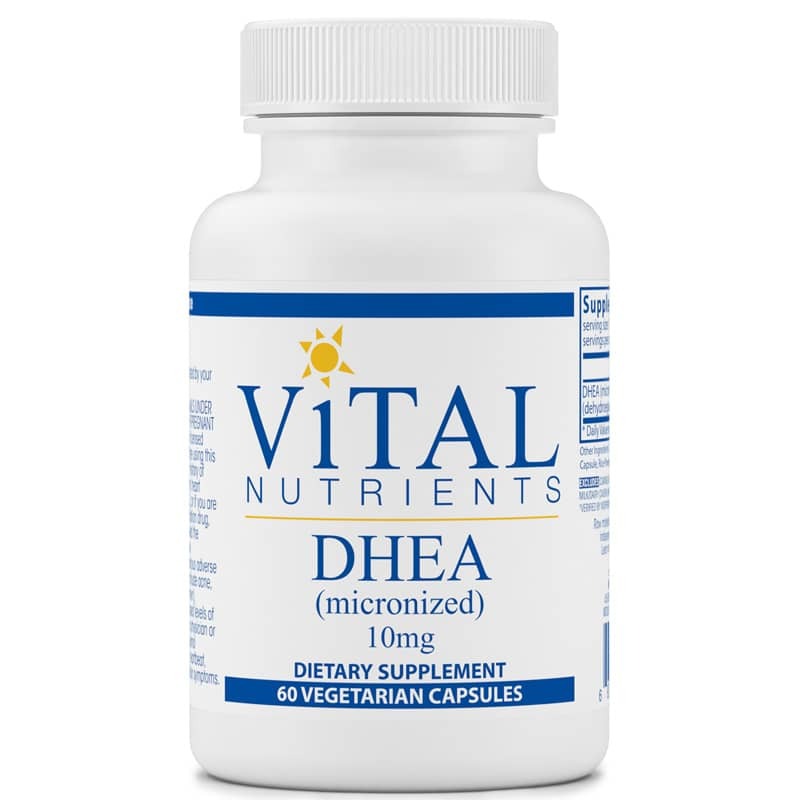 DHEA (micronized) 10mg from Vital Nutrients is a hormone produced by the adrenal glands and is a precursor to androgens. DHEA, along with other adrenal hormones, affects metabolism, immune response, energy levels, and estrogen and testosterone levels. Other Ingredients: cellulose, vegetable cellulose capsule, rice powder and silica. Adults: Use only as directed by your healthcare practitioner. Not for use by individuals under the age of 18 years. Do NOT use if pregnant or nursing. 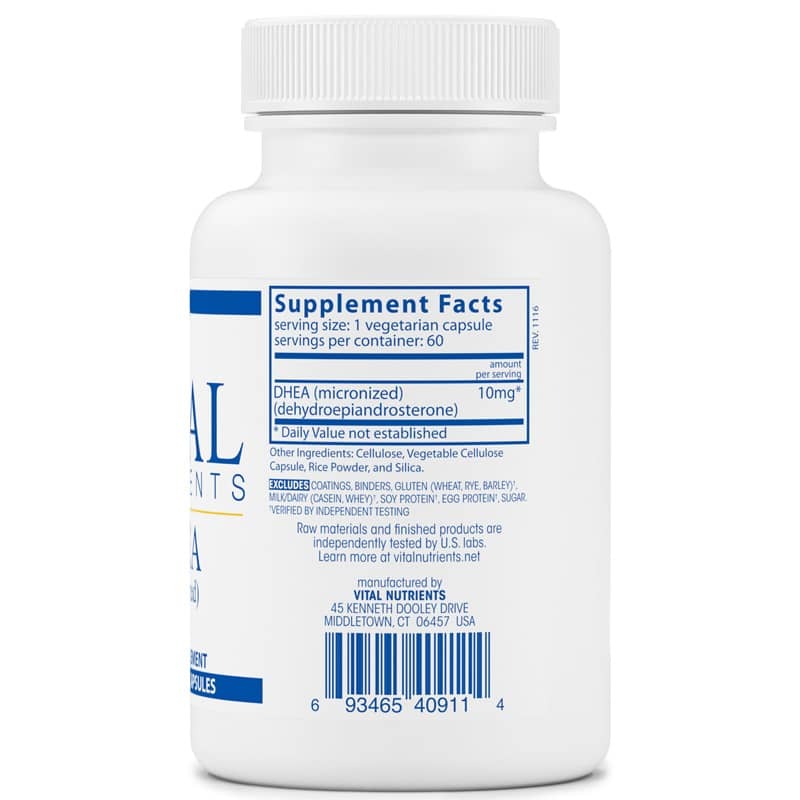 Consult a physician or licensed qualified healthcare professional before using this product if you have, or have a family history of prostate cancer, prostate enlargement, heart disease, low “good cholesterol” (HDL) or if you are taking any dietary supplement, prescription drug or over the counter drug. Do not exceed the recommended serving. Exceeding the recommended serving may cause serious adverse health effects. 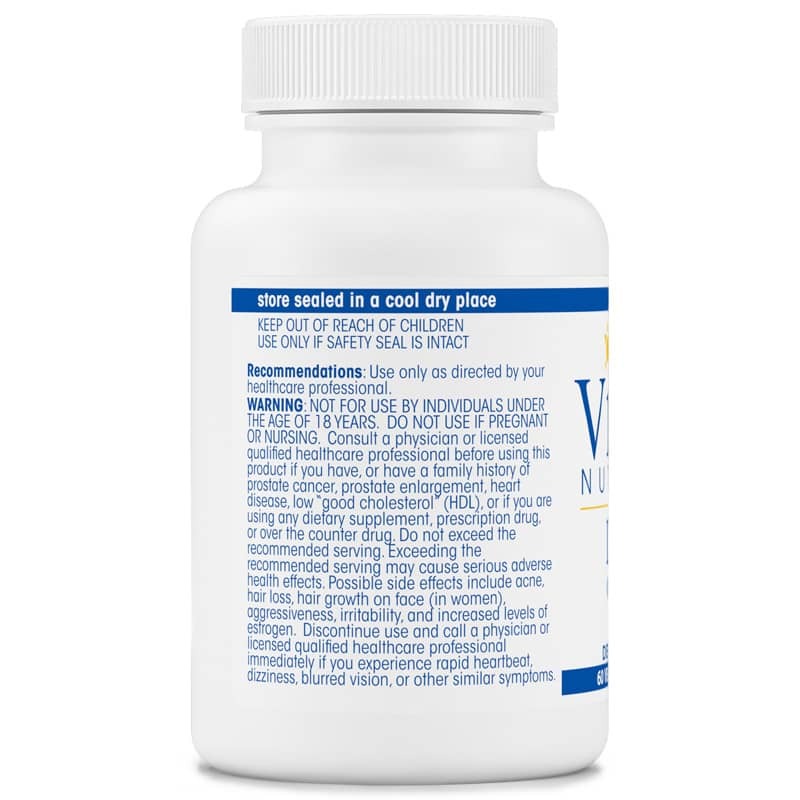 Possible side effects include acne, hair loss, hair growth on face (in women), aggressiveness, irritability, and increased levels of estrogen. Discontinue use and call a physician or licensed qualified healthcare professional immediately if you experience rapid heartbeat, dizziness, blurred vision, or other similar symptoms. Keep out of the reach of children.